Try – Save – Learn! 3 ways to Ka Ba Sum! TRY IT ! 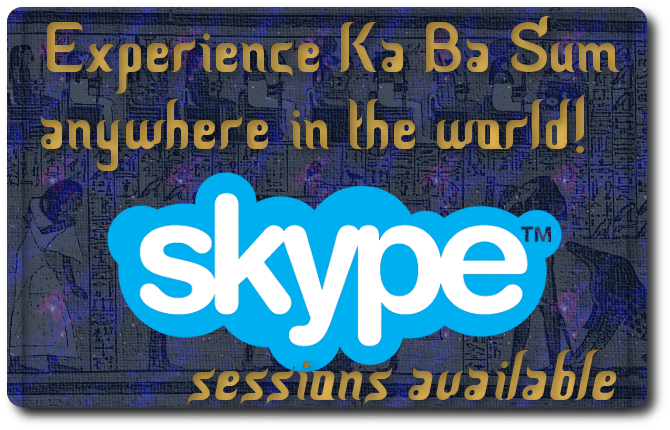 I’m running a #TasterTuesday promotion this month – giving taster sessions of Ka Ba Sum Egyptian Inter-dimensional healing. I’m taking bookings for between 9am – 9pm each Tuesday. The price is just £10 for 20 minutes and £15 for 30 minutes. LEARN HOW TO DO IT! The next Ka Ba Sum Practitioner Course is running on 17-18th September 2016 in Bristol, UK. If you’ve experienced Ka Ba Sum and feel ready to learn how to do it, maybe it is time to go for it! Receive the attunements and learn the process of a Ka Ba Sum Inter-Dimensional Healing session. Previous PostTime to learn Ka Ba Sum?Next PostMy first Youtube video!